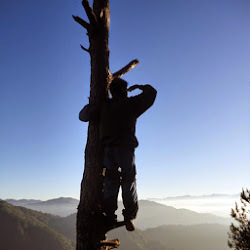 I think I was nearly penniless, after the non-stop backpacking trip which started 7 days ago in Sagada, my treasury is about to lose everything. 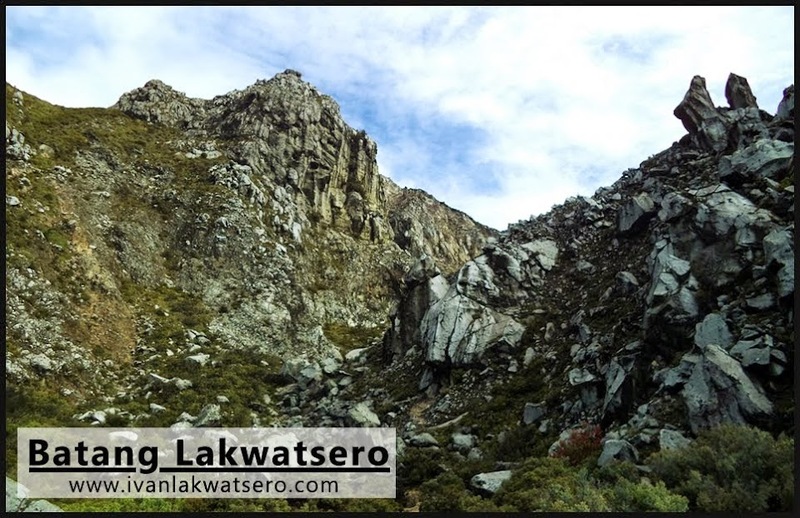 What was left with me was P1050.00, of course P450 of that will be allotted for my way-back-home fare, so apparently I only have P600 for pasalubong shopping. 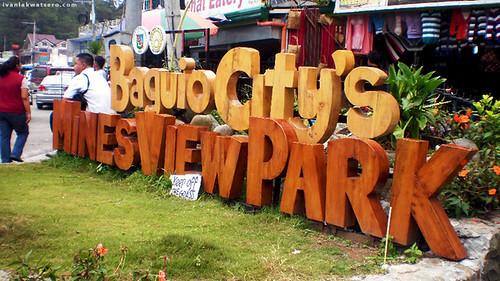 | There is a panoramic view of Benguet's gold and copper mines from the park's view deck, hence the place is called Mines View Park. 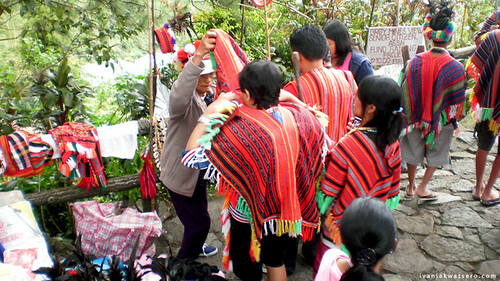 Again, the naive kid that is me was amazed by the things he saw around the park, a bunch of St. Bernards with shades ready to pose with the tourists (for a cost), Igorot costumes for the wannabe tourists (again, for a cost), horses of different colors and sizes (ok, nothing is free now), stitched fan brooms, wood-carved souvenirs and of course, tons of Baguio sweets and delicacies. 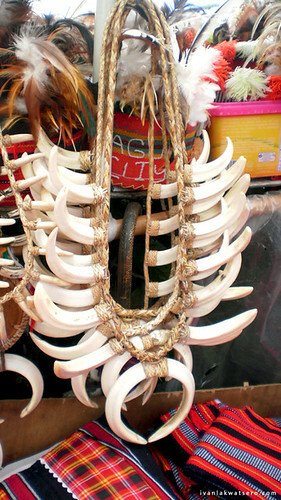 Cheap clothes (not sure if it is ukay), bags and fresh fruits are also found around the place ready for dispatch. the ones I bought was no more in just a matter of 2 days. 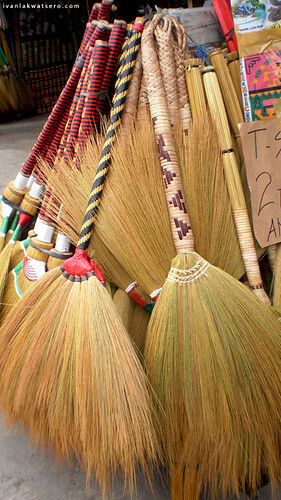 With only P600 budget for shopping, I bought 3 fan-brooms for P280, 4 Baguio delicacies for 100, a ref magnet for P25, 5 bundles of sundot-kulangot for P100. A total of P505, enough already for my kuripot budget. Too bad I was not able to buy my favorite Good Shepherd Ube Jam. Then when I saw Robbie, he has a sack full of pasalubong (nahiya tuloy yung isang plastic ko ng pasalubong, haha). 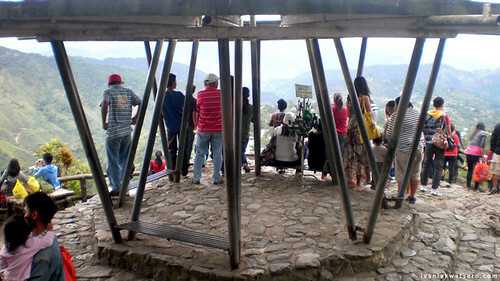 this is the Mines View Park viewing deck. there are binoculars for rent just in case you want to do sightseeing. Before we left, I still went to the viewing deck to complete my Mines View Park experience. 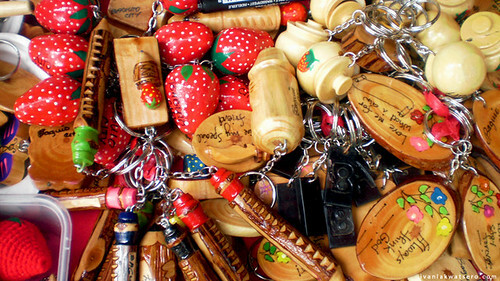 Spending your money on these pasalubong and souvenir items does worth it, prices are reasonable and would give a lot of happy memories of your stay in Baguio. 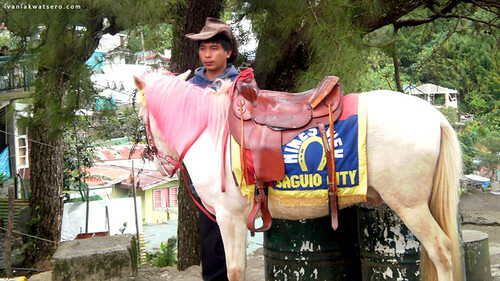 Having a picture with the colorful horses, Igorot costumes or St. Bernards with shades is also a great idea to bring home good memories of Baguio and to somehow give the locals extra income. The time was 01:45 PM, from the Mines View Park, we headed straight to Victory Liner Terminal and had a long road trip back to Manila. Guess what, I only have P50 left in my pocket when I reached our home at 10:00 PM. at least may natira ka pang 50 pesos... hehehe! 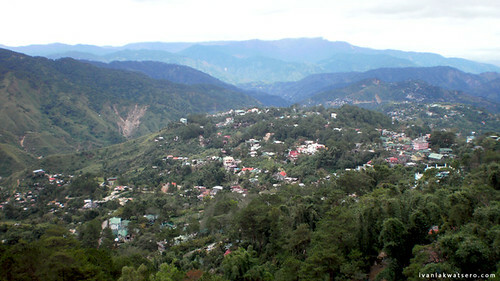 i miss baguio! 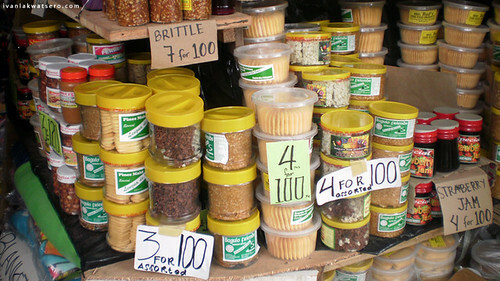 i miss buying ube jam, peanut brittle and choco flakes. I am sooo digging that new signage! ivan, do you crop ur pictures? or was that the original size? @Mervz, haha.. sakto lang nga e.
@pinkcookies, so true. craving for them now. @June, ni-reduce ko ung size ng konti pero hndi ko kina-crop..